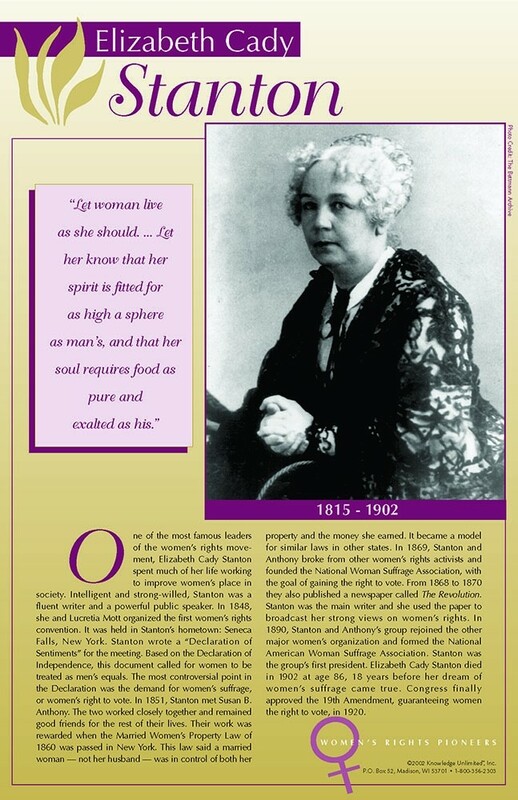 This poster of Elizabeth Cady Stanton features a photo, a quote, and a brief biography that illuminates the life and activism of this women's rights pioneer. The quote on the poster reads: "Let woman live as she should. ... Let her know that her spirit is fitted for as high a sphere as man's,and that her soul requires food as pure and exalted as his." 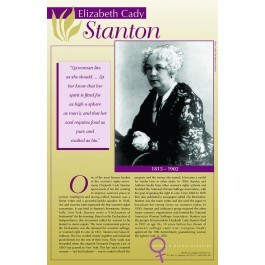 Elizabeth Cady Stanton was one of the foremost leaders of the early women's rights movement. In 1848, she helped organize the first women's rights convention in Seneca Falls, New York.